This blog post is not exactly a continuation of my previous post on what to be mindful of when engaging the Chinese Community in fundraising. However, if you would like to understand more about my experiences with what the Chinese philanthropy scene is like, you can check out my previous post here. As charities, we tend to see our biggest volume of gifts coming in through Thanksgiving and Christmas. But did you know that for many ethnic cultures, besides the mainstream holidays, people are also very generous when celebrating their cultural holidays? For the Chinese Canadian community, there is no holiday more important and universally celebrated than Chinese New Year. Lunar New Year, or more commonly known as Chinese New Year, is the celebration of the arrival of the new year, marking the midpoint of the Winter solstice and Spring equinox. It is called Rural New Year because the dates are based on the Rural Calendar, a traditional calendar that is commonly used today in China in conjunction with the Gregorian calendar. Twenty years ago, nobody outside of the Chinese Canadian Community really knew about Chinese New Year. But as businesses begin to realize the potential of the Chinese Canadian market, Chinese New Year commercials are flooding the radios, televisions, newspapers, and online. Chinese New Year commonly begins around the beginning of February and lasts for almost a whole month. In 2015-16, Chinese New Year Day will begin on February 8, 2016 (exactly a month from when this blog is published) and last until February 22. Each year of the Rural Calendar is also marked by a Chinese Animal Zodiac on a 12 year cycle; for this year it is the monkey. Chinese New Year, to put it simply, is like a combination of New Year and Thanksgiving. Chinese communities prepare to welcome the new year, to bring good fortune, to wish for good health, and to spend time with family. For the next few weeks, Chinese Communities are filled with celebrations and events to bring the whole community together and a time to give back to the community. 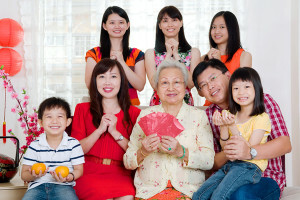 Your charity is a part of the Chinese communities you serve, and here are two of the best ways to engage them during Chinese New Year: Direct Mail and Events. New Year Market (February 5-7, 2016) – The three days before Chinese New Year is when the New Year Market happens. As the name suggests, it is a street market where traditional trinkets, artwork, foods, clothing, and all types of interesting handicrafts are sold at booths. New Year’s Eve (February 7, 2016) – The last day of the night market as well a time for families to celebrate the last day of the year. New Year’s Day (February 8, 2016) – the first day of the Chinese New Year is when families come together to have dim sum in the morning and celebrate through a lion dance or lighting some fire crackers. Human Day or “Renri” (February 14, 2016) – A day to celebrate all human beings, it is another important day where celebrations and large events would be held through the community. The ideal day for Chinese-style dinners and fundraisers. 15th Day of New Year (February 22, 2016) – The last day of Chinese New Year, after this date people no longer give out money or red pockets marking the end of the 15 day celebrations. At the Chinese New Year Night Markets, investing in a booth is a very good way to raise awareness and engagement by being visible in the community. Consider printing red pocket (red envelopes used to hold cash and given out to friends, relatives, and associates) and “Fai Chun” (traditional decorative with phrases of good luck or prosperity printed or written on red paper and posted on doorways) that are branded with the logo/website of your organization and give them out to guests. Invite local government officials and councillors of Chinese descent, engage officials from the Chinese Embassy and Consulate General Offices, and invite or invest in an advertisement in Chinese media newspapers, radio, television, and online. Consider partnering with other local Chinese community organizations in hosting Chinese New Year events. This will help reduce the resources needed to be supplied by your organization and open up a new audience for your cause. Encourage third party or community events in the Chinese community by engaging and developing a board of volunteers made up of community leaders who shares our belief and values. When using Direct Mail to engage the Chinese community during Chinese New Year, it is very important to make sure you are sending to the right communities as your messaging will be very specific. This means a lot of work will have to go into analyzing your donor and supporter data for your mailing lists to make sure you are actually hitting your local Chinese communities. If your mailing list is lacking, a great way to build your list for next year is to partner with other Chinese non-profit organizations or businesses to feature you in their communications and advertisements. Another great way to build your mailing list is through your engagement work through your special events. Once you have your first list to mail to, here are some tips to spice up your campaign. The messaging should focus on the themes of Chinese New Year. For example, a hospital can ask donors to give back to the community during this time, providing sick children with a bit of lucky money so they can regain their health, supporting the work of the hospital so grandma can be back home in time for New Year’s Day dinner. Consider having your english letter translated into traditional or simplified Chinese to be included in your mailing so that readers of either language to help potential donors feel you have taken the time to speak to them on a more personal level. 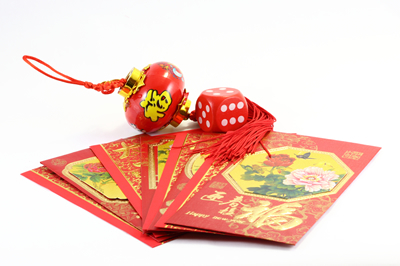 Consider adding premium items to your package such as branded Chinese New Year cards, Fai Chun, and red pockets for donors to use. Encourage them to put their gift into the pockets and mail them back or include a few more and ask them to give to their friends. For all these giveaways, besides using a correct phrases or design that reflects the New Year Zodiac (monkey in 2016) or a phrase that aligns with your cause (e.g. Hospitals can talk about health and prosperity) be sure to include your organization website so they can visit and give online. I would also recommend trying out a test package to non-Chinese folks who live in areas with large Chinese communities (e.g. 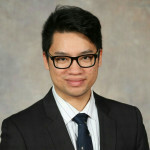 Markham) and include an insert explaining the traditional importance of the premium item during Chinese New Year and how it relates to your cause. As with all Direct Mail campaigns, never stop testing but more importantly never stop evaluating to see what worked and what didn’t. I hope these tips will give you a general idea of what your charity can do in the upcoming Chinese New Year when engaging your local Chinese Communities. One very important lesson I have learned so far in the Fellowship is to start small, don’t expect to do everything by February. Choose something small, perhaps you can ask some volunteers to help you man a booth at the Chinese New Year Night Market. Or perhaps you can engage with a Chinese board member or long time supporter to help you set up a lion dance event for your clients and the public. Whatever course it may be, the most important thing is to be respectful and do not be afraid to ask questions and collaborate with your supporters. Happy Chinese New Year! Gung Hey Fat Choi!